Dr. Preston G. Kaye, O.D. 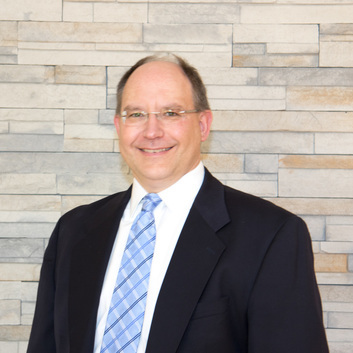 Dr. Preston Kaye earned his Doctor of Optometry Degree from the Illinois College of Optometry in 1995. The curriculum includes biomedical courses such as human anatomy, immunology, systemic disease and pharmacology. Ocular courses include anatomy and physiology, visual perception, neuroanatomy, optics, sensory aspects of vision, and color vision. Dr. Kaye is currently a member of the Illinois Optometric Association and the American Optometric Association. Extensive training was gained at both the Illinois Eye Institute in Chicago, as well as Olympia Fields Osteopathic Hospital in the areas of primary eye care, pediatric optometry, binocular vision, contact lenses, low vision rehabilitation, ocular diseases, and emergency care. Dr. Kaye is proud of his South Dakota heritage. He grew up in Mitchell, SD, and graduated from Dakota Wesleyan University in SD, earning a Bachelor of Science Degree in Biology, with a minor in Chemistry. Attending this well rounded liberal arts college now allows Dr. Kaye to relate to his patients on many levels of conversation and clinical explanation. He has enjoyed being part of several choirs and the Nash automobile club. Dr. Kaye has merged these experiences into a professional and modern, yet down to earth and comfortable, family eye care practice. He has also participated in local and international missions, including a two week trip to Venezuela with the organization Gift of Sight. In What Aspects of Optometry Are You Most Interested? Dr. Liesl A. Kaye, O.D. 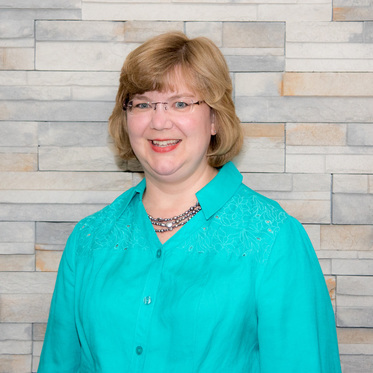 Dr. Liesl Kaye earned her Doctor of Optometry Degree from the Illinois College of Optometry in 1995. She, like Dr. Preston, also had extensive training at both the Illinois Eye Institute in Chicago, as well as Olympia Fields Osteopathic Hospital. Dr. Kaye is also currently a member of the Illinois Optometric Association, and American Optometric Association. Dr. Kaye grew up in Prospect Heights and Long Grove. She majored in biology at Loyola University in Chicago and earned a Bachelor’s Degree in Visual Science. She practiced in Arlington Heights for seven years, before moving to Lake in the Hills in 2002 to open Kaye Eyecare of Huntley. “Mom” is a favorite role of mine! Spending time with my family, whether on simple walks or a long road trip, always brings me many smiles! I played the oboe in an orchestra for eighteen years, and studied the piano for ten, giving piano lessons to fifteen students of my own for four years while in college. I currently enjoy working with children in Sunday school and the Awana program each week. 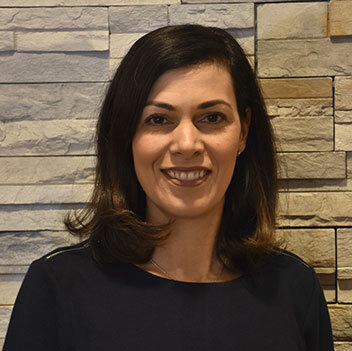 Dr. Antonia Mourelatos earned her Doctor of Optometry degree from the Illinois College of Optometry in 2001, where she was also the recipient of the Wesley and Jessen Award for Outstanding Contact Lens Studies. Dr. Mourelatos practices Primary Care Optometry with a special interest in contact lenses, glaucoma, dry eye and ocular allergies. She also co-manages patients having cataract surgery and laser vision correction. Dr Mourelatos is a member of the American Optometric Association and the Illinois Optometric Association. Dr. Mourelatos earned her Bachelor of Science Degree from the University of Illinois Champaign-Urbana in 1997. 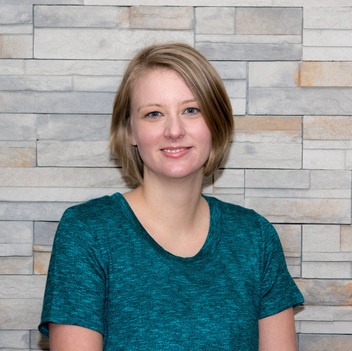 She has served internships at the Brooklyn Veterans Hospital, Wolfe Eye Clinic in Marshalltown, Iowa, and the Australian College of Optometry in Melbourne, Australia. She also served on an international mission providing eye care to under-served populations in Guatemala. Dr. Mourelatos grew up in Woodstock, IL and developed her work ethic by working in her parents’ Greek Diner. She currently resides in Elk Grove Village with her husband Nick, son Teddy and dog Hershey. Dr. Mourelatos was previously with Kaye Eyecare from 2005 to 2008. She returned to us in 2018 and we are thrilled to again offer her precise and incredibly personable service to our patients! Dr. Lindsay M. Petrie, O.D. We would like to thank Dr. Petrie for her 8 years of providing excellent care here at Kaye Eyecare We wish her all the happiness in the world and best wishes in her future endeavors in Tennessee. She will be missed dearly and will always be a special part of the Kaye Eyecare family.